In late February, several Baltimore County Public Schools students will be recognized as winners in the 5th Annual Henrietta Lacks Legacy Group Essay and Video Competition – including the three BCPS students who earned first place honors. Brooke Strauss of Pine Grove Middle School won first place in the middle school letter competition, while Isabella Holcombe, an Eastern Technical High School student, won first place in the high school video competition. Eastern Technical students swept the essay competition with Chika Chima taking first place, Kiet Nguyen in second place, Enzinne Onyedum in third place, and Zach Wells receiving an honorable mention. 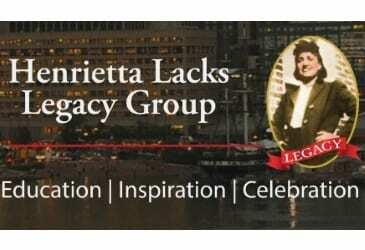 The winning students will be celebrated at the Henrietta Lacks Legacy Group’s Black History Month event, to be held on Sunday, February 25, from 4 to 6 p.m. at Greater St. John Baptist Church, 209 Walnut Avenue, 21222. Henrietta Lacks (1920 – 1951), who lived in Baltimore County, unknowingly contributed to numerous medical advances. While she was a cancer patient at Johns Hopkins Hospital in 1951, her cells were taken from a tumor. They later were used to create the cell line known as HeLa, which is one of the most important cell lines in medical research. For example, HeLa cells were involved in the development of the polio vaccine and in research into cancer, AIDS, gene mapping, and the effects of radiation. Neither she nor her family was initially aware of this or compensated for it. Her family finally was made aware of HeLa in 1975. On January 22, 2018, Alfred Carter Lacks, grandson of Henrietta Lacks, spoke to English classes at Eastern Tech about the legacy of his grandmother’s contributions to medical research. He elaborated on his grandmother’s medical history, her journey, and emphasized the pride that his family has for the scientific contributions that her cells have made. Despite the trials and tribulations experienced to gain recognition for his grandmother’s sacrifice, Lacks focused on the positive impact that the generous spirit of Henrietta Lacks has had on many. Among students attending the presentation were the five Eastern Tech award winners of the Henrietta Lacks Legacy group essay and video competition.